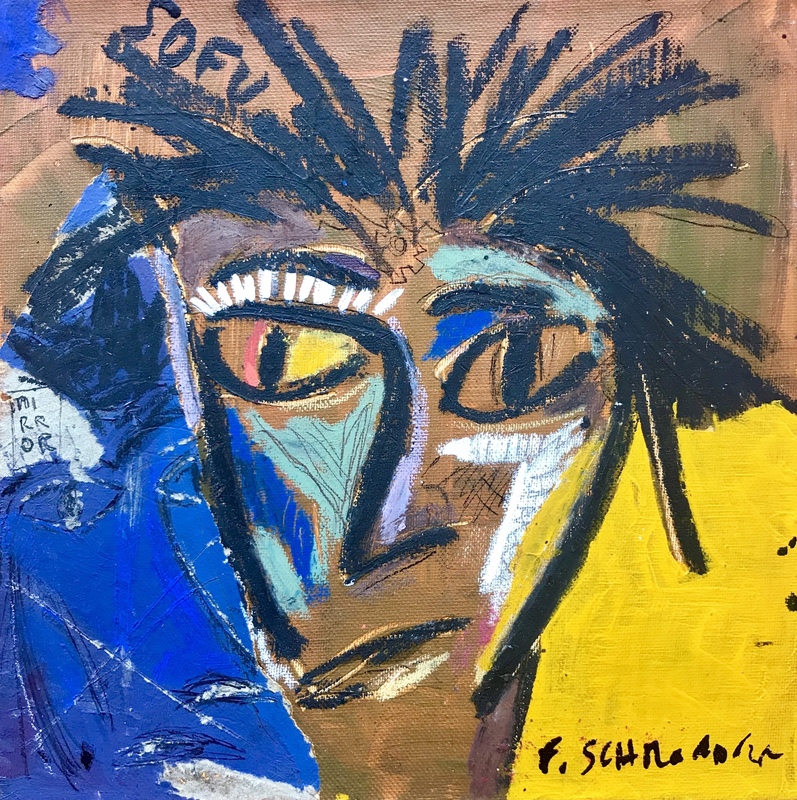 Schroeder was born to a French mother and a West African father gaining a unique ethnicity spanning continents and divergent cultures. 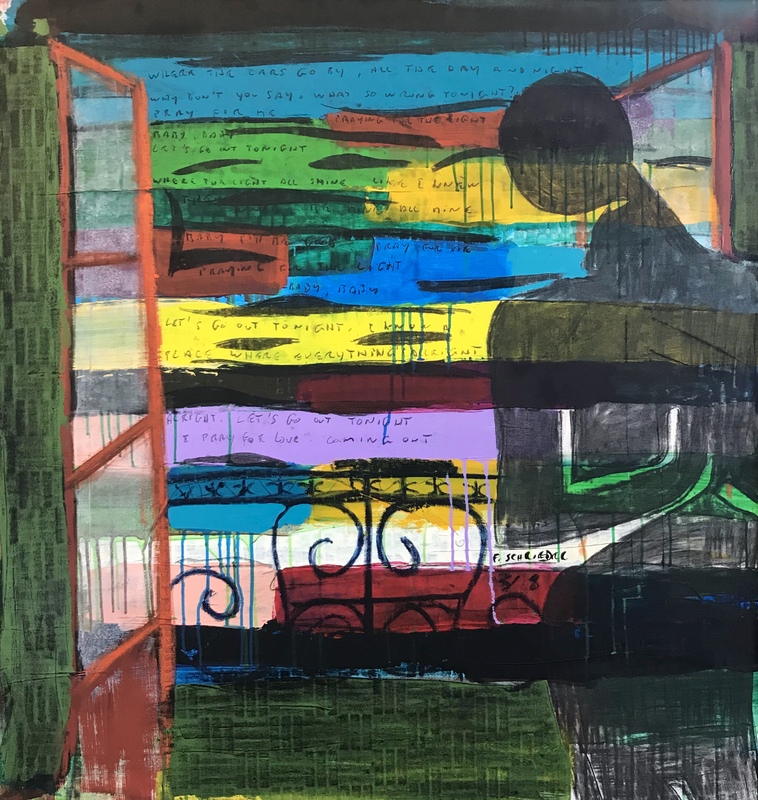 His family moved to the Ivory Coast where he suffered through the First Ivorian Civil War. 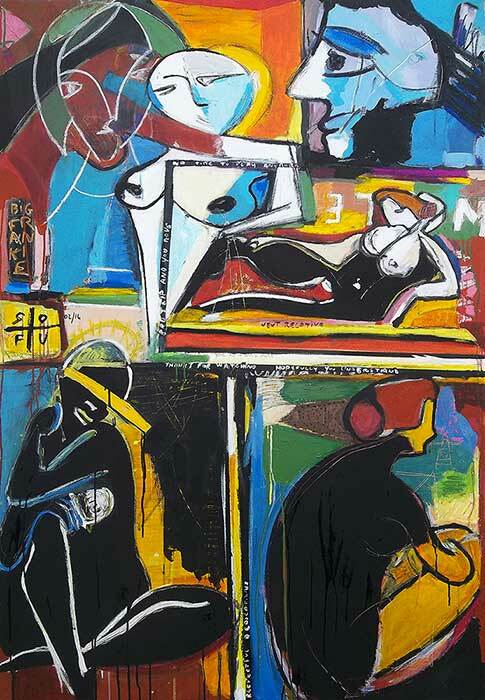 He found solace studying the philosophy, literature and artwork of the 19th and 20th centuries. 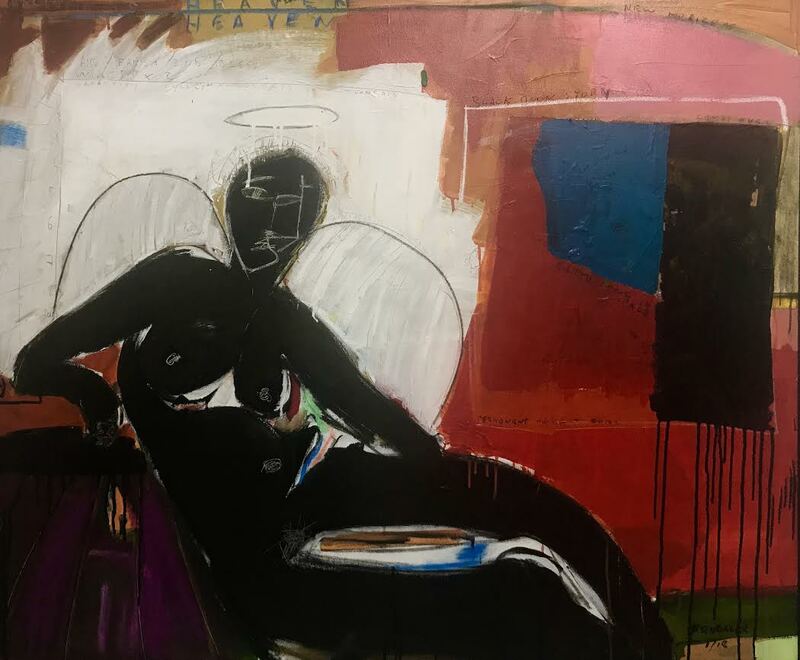 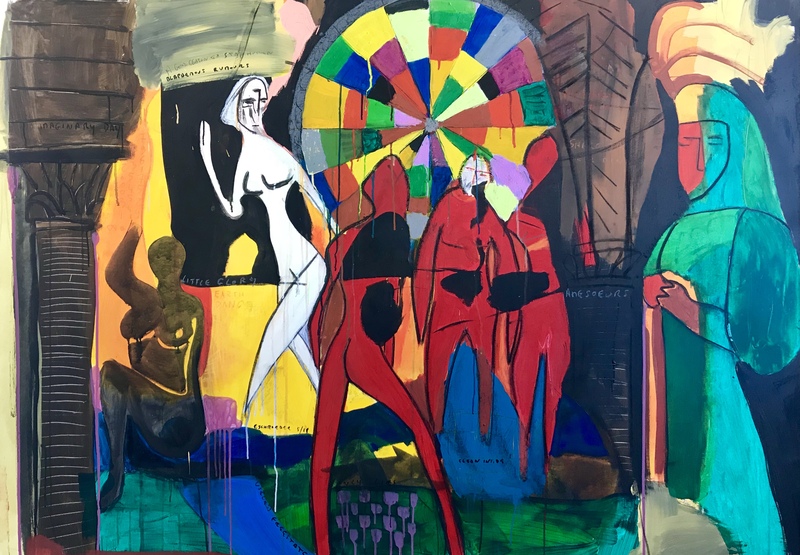 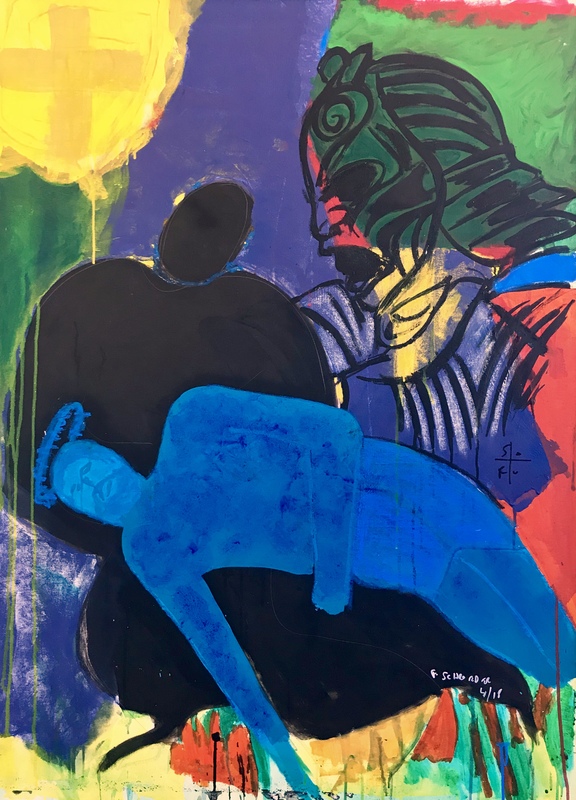 He retreated to an inner creative world he describes as “dark and sometimes near death.” In 2004, his gallery in the Ivory Coast was ransacked in the aftermath of the revolt and all his pieces were destroyed. 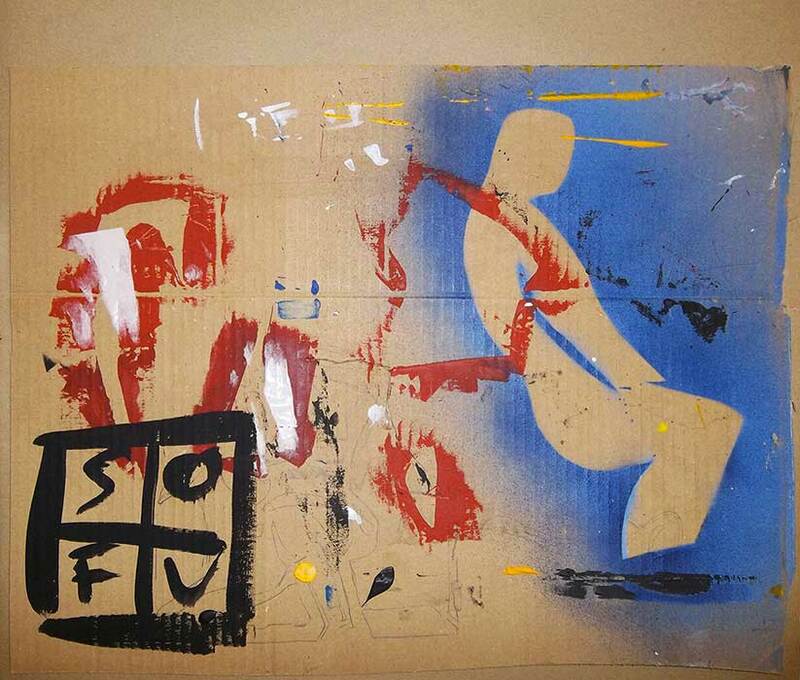 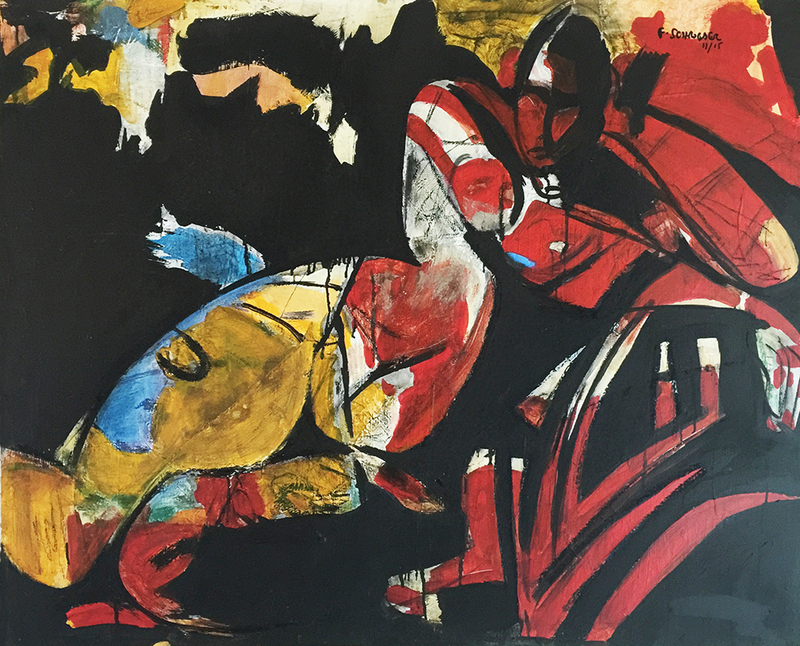 Frank's work is fast, responsive and instinctive, and is produced on canvas and cardboard. 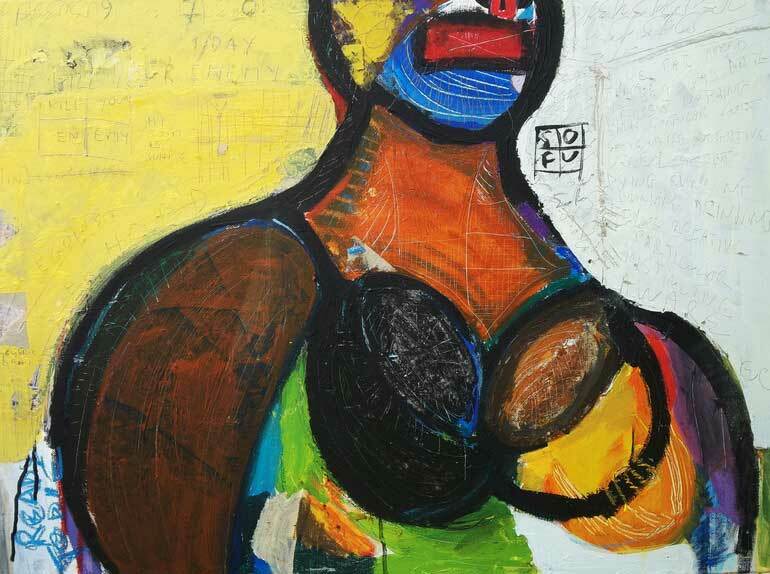 Given his ‘no time to lose’ mindset he favors acrylic because of its rapid drying time often overlaying this with oil pastels and sometimes spray paint. 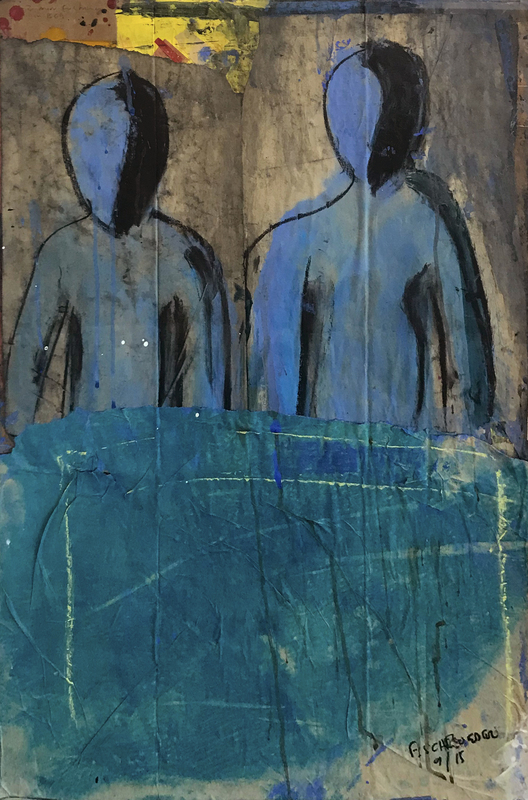 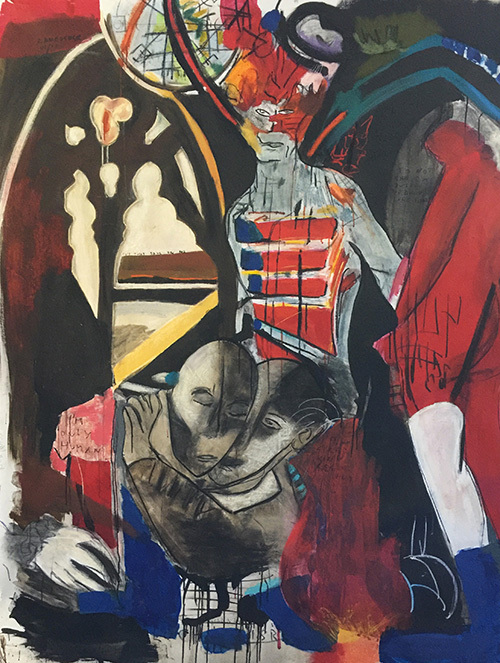 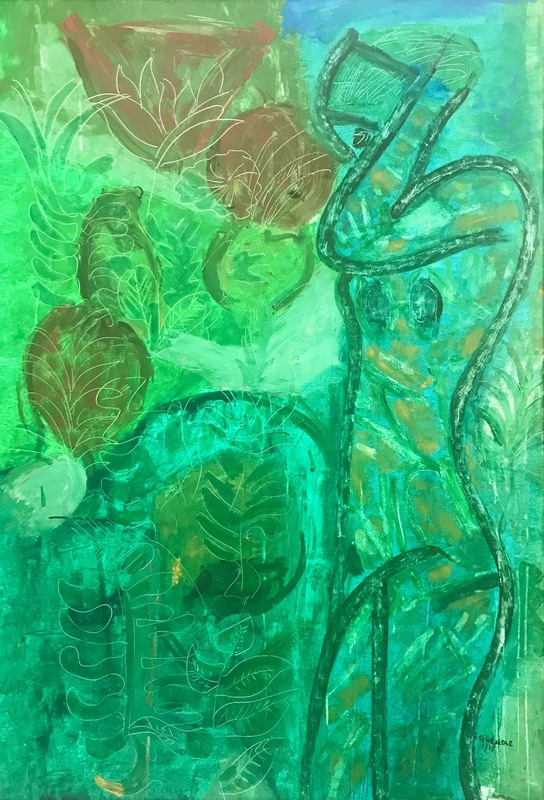 His more recent work tells intricately woven stories of biblical themes and personal experience blended with psychological and emotional confessions. 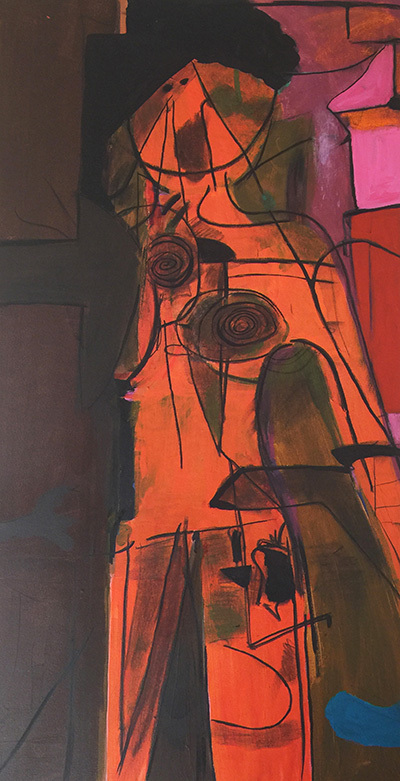 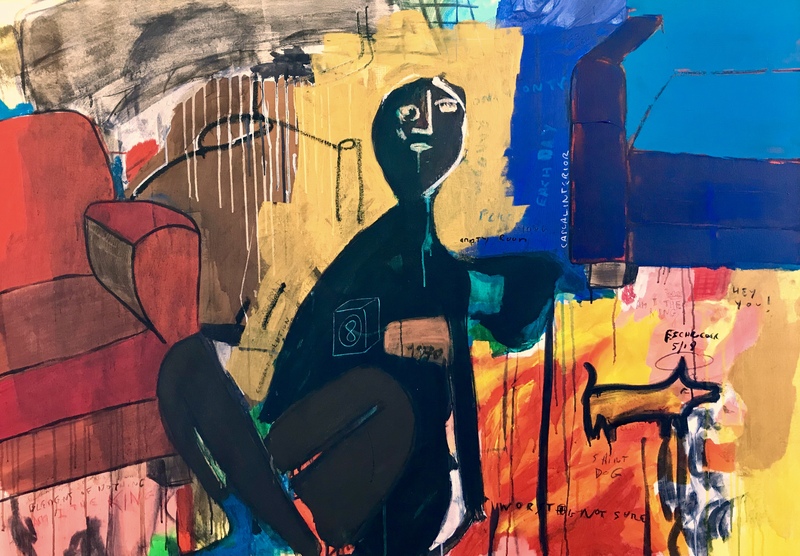 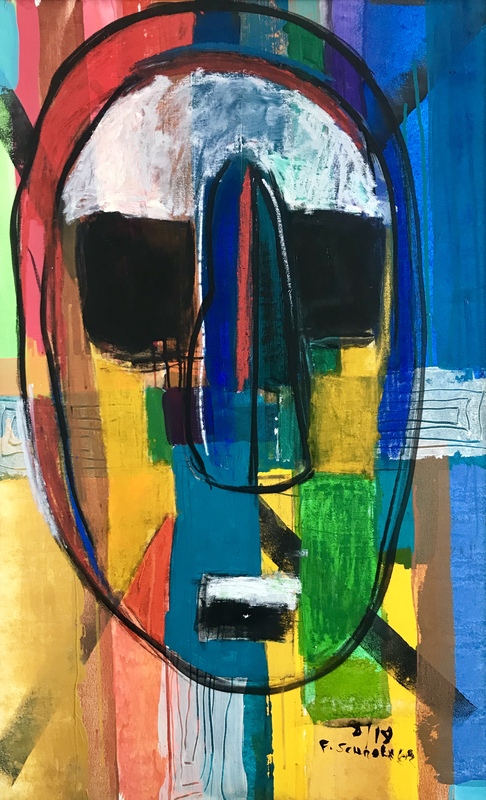 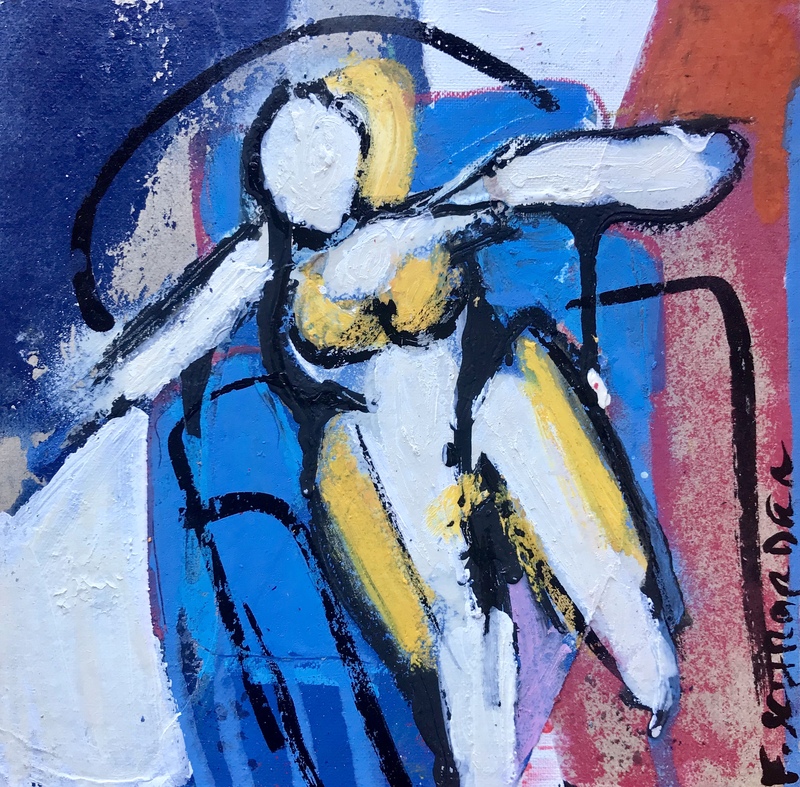 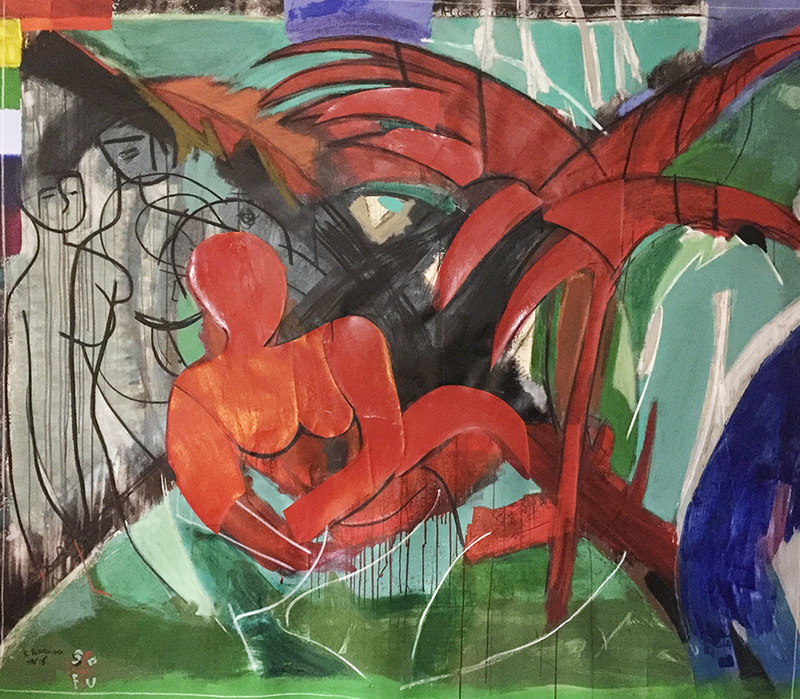 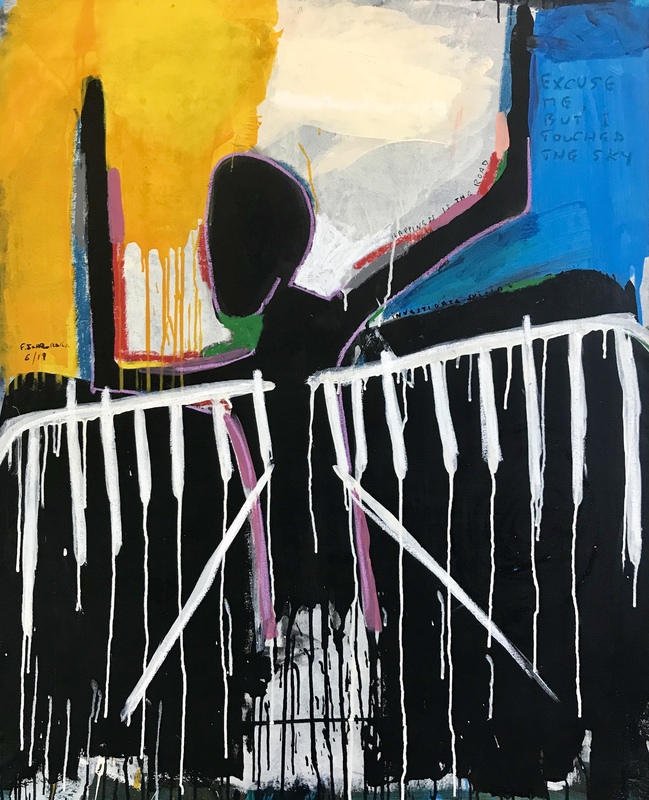 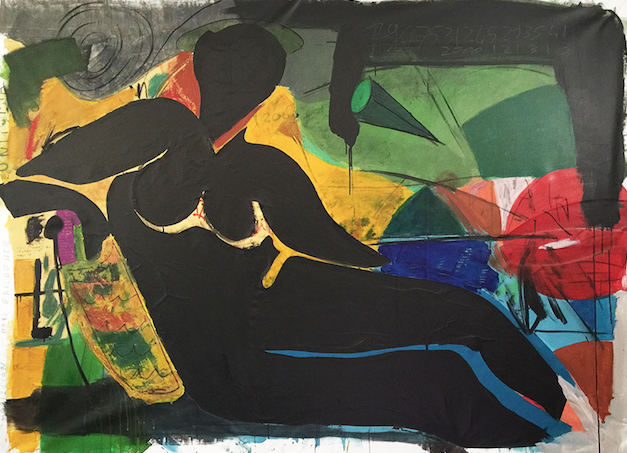 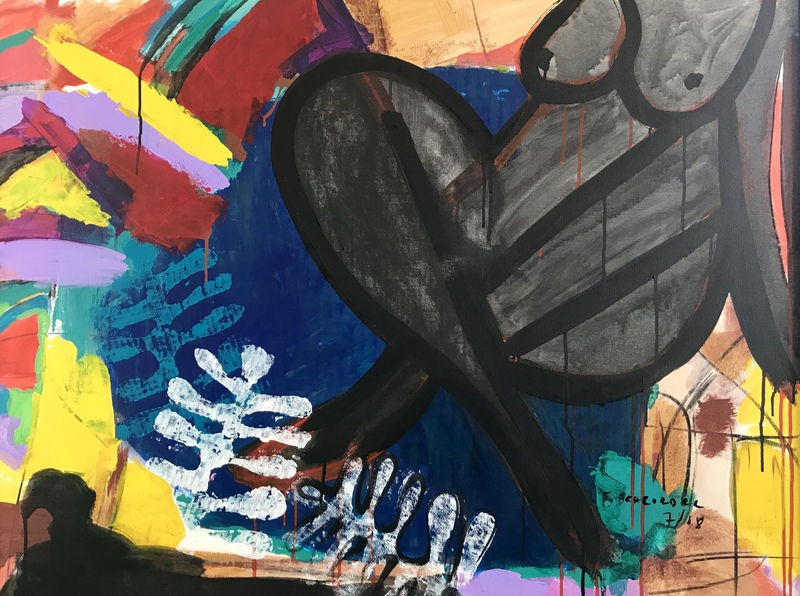 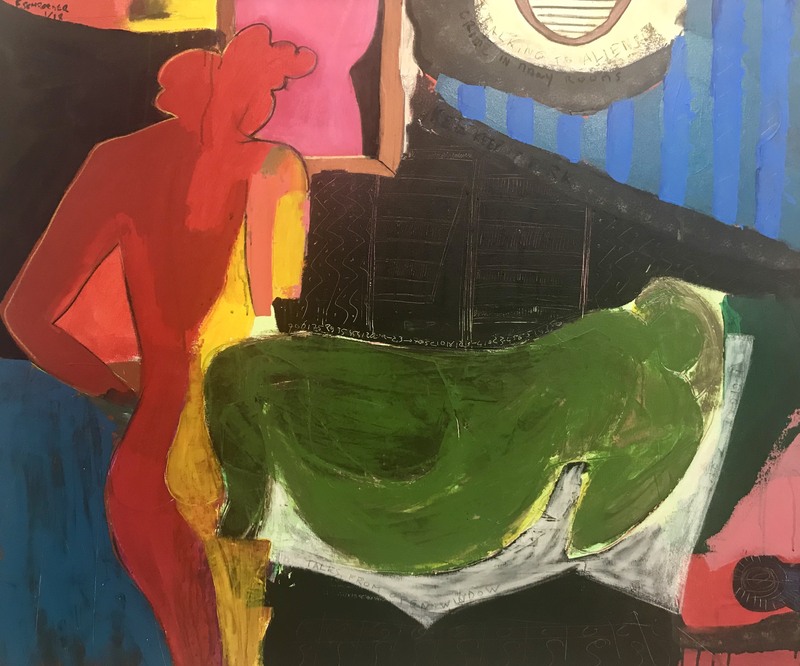 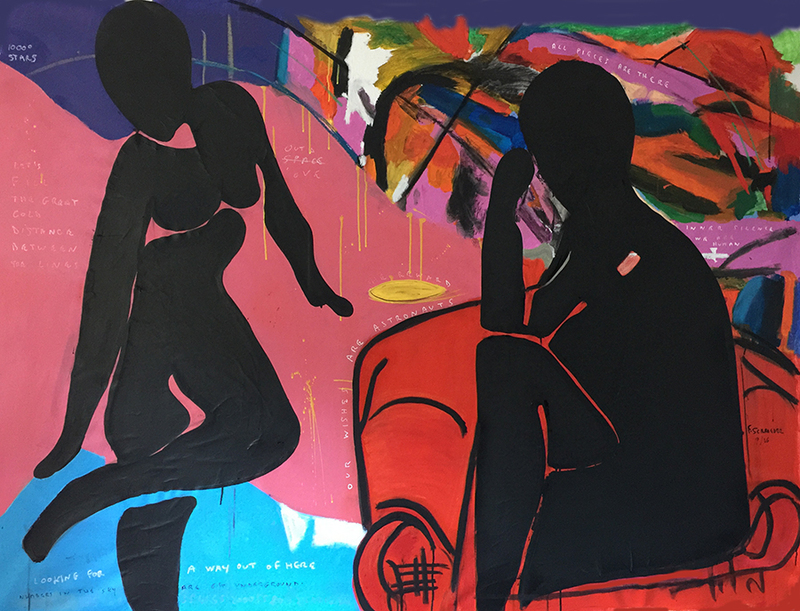 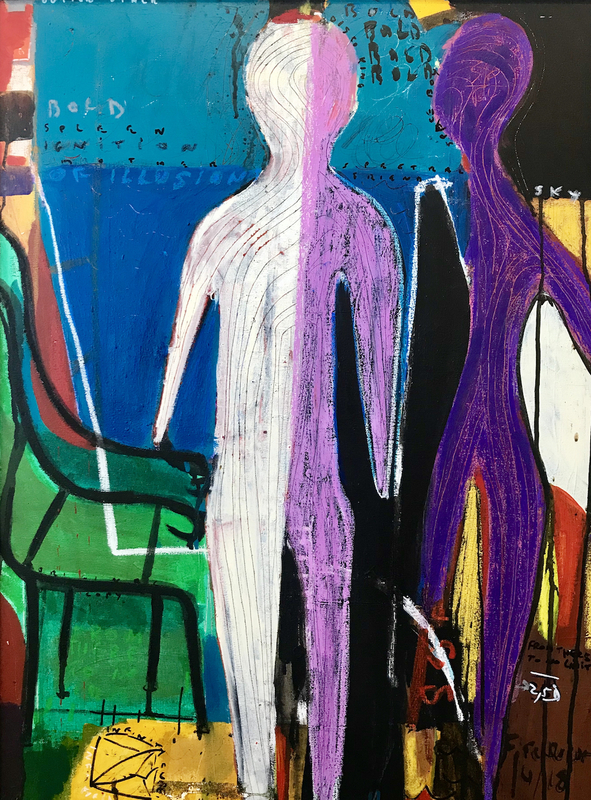 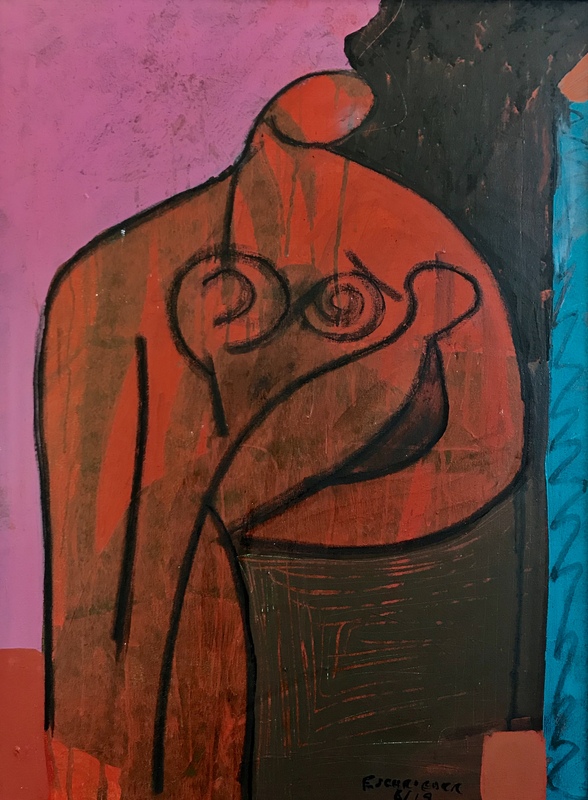 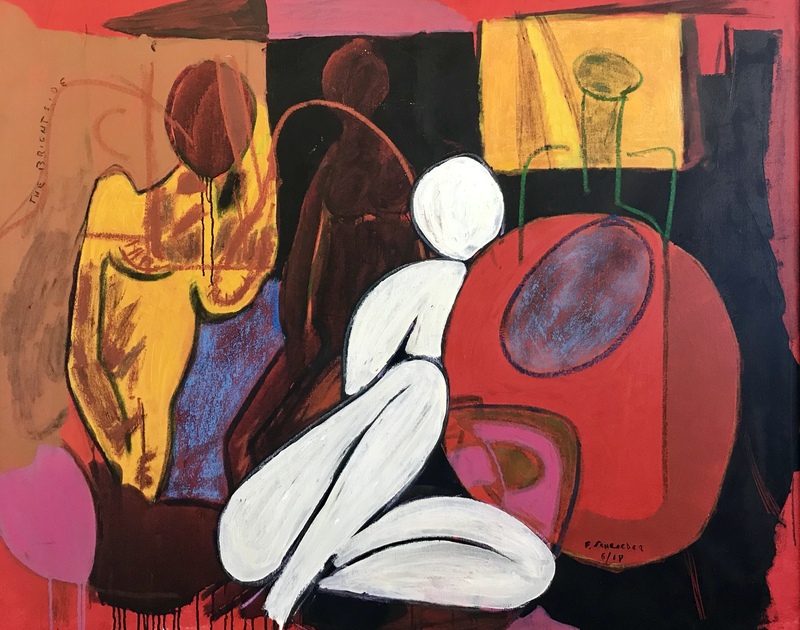 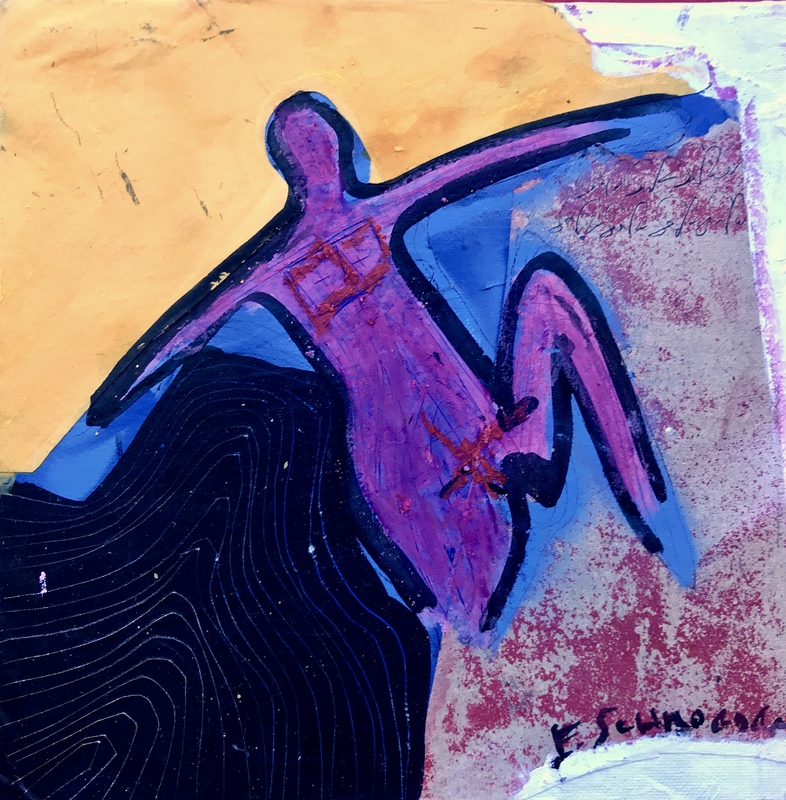 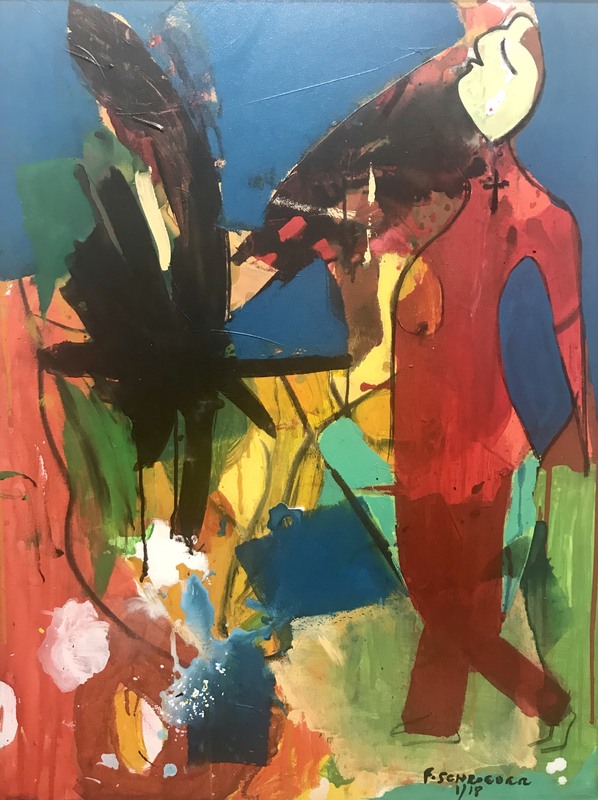 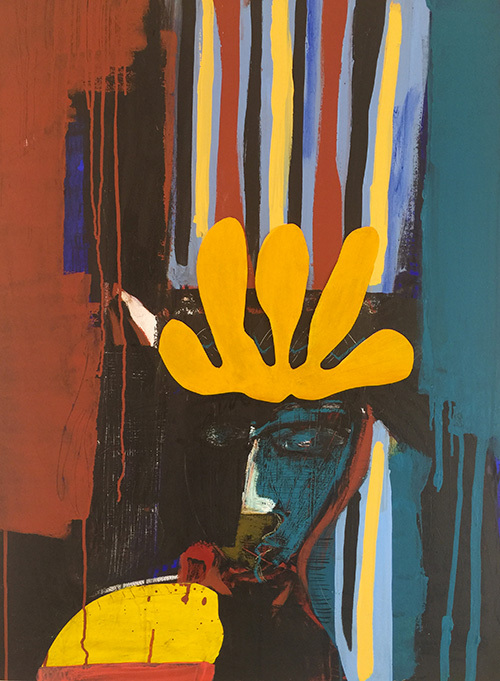 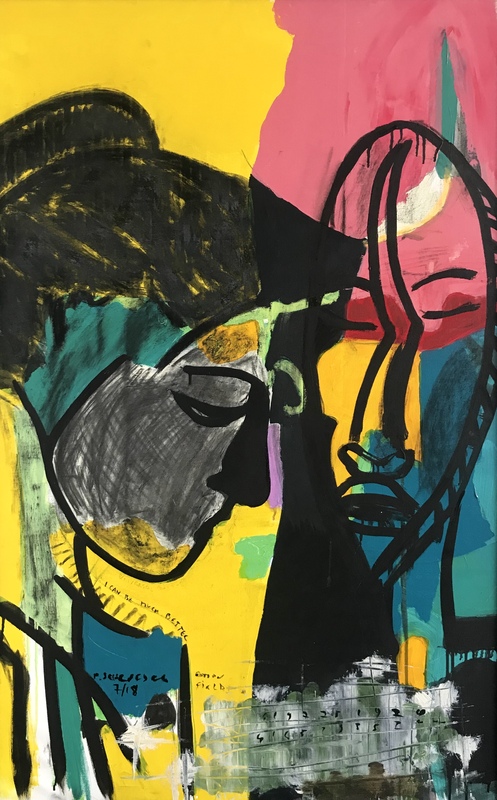 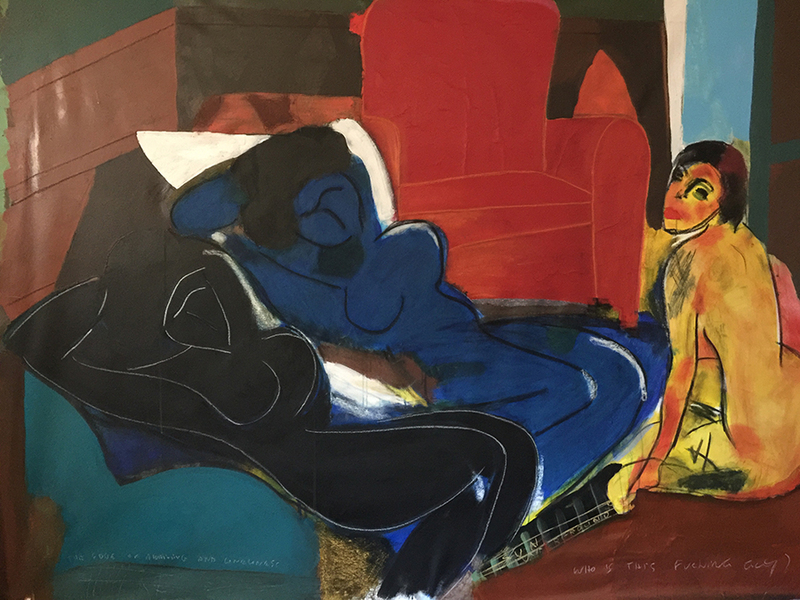 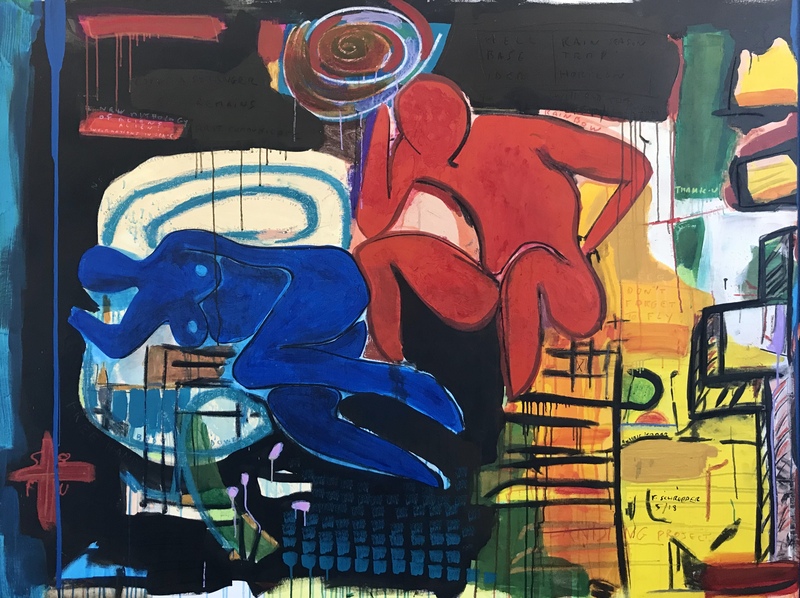 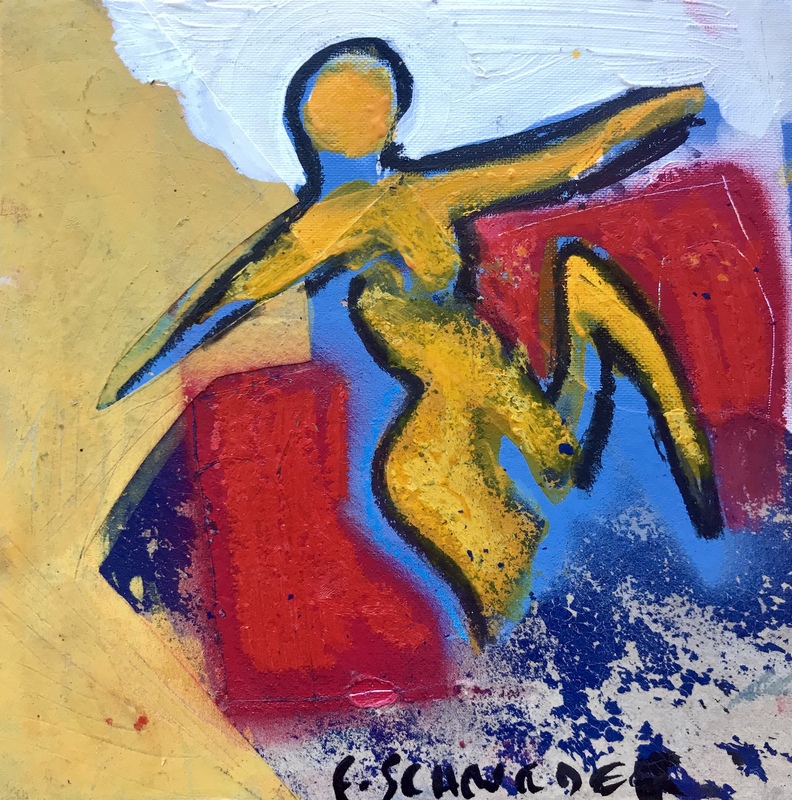 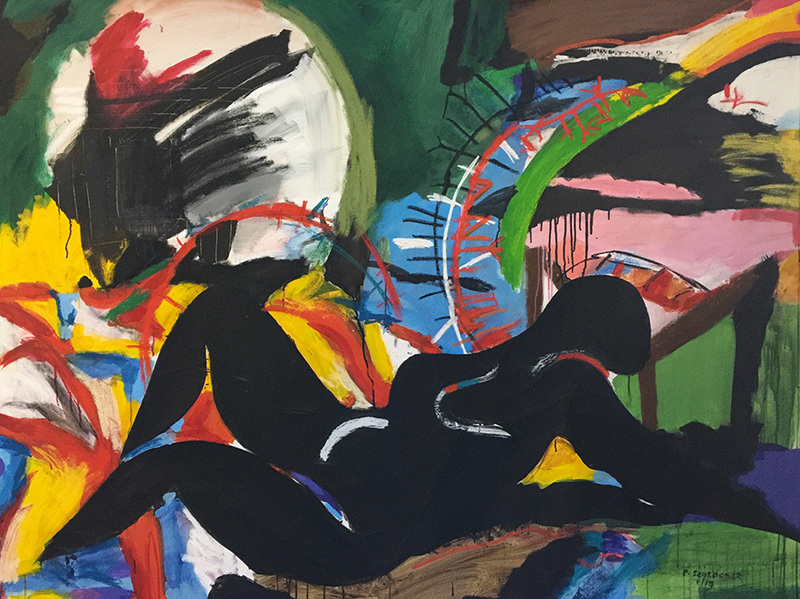 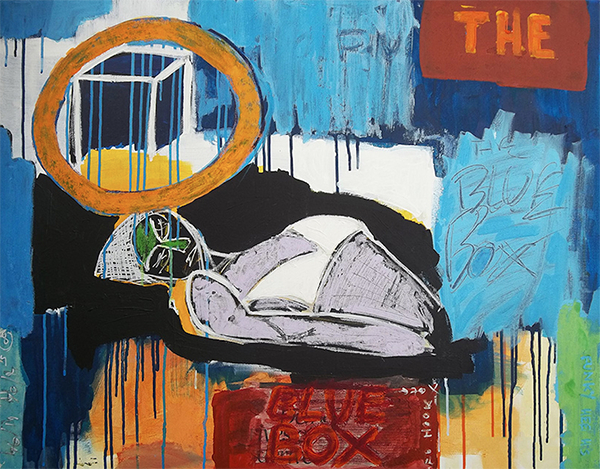 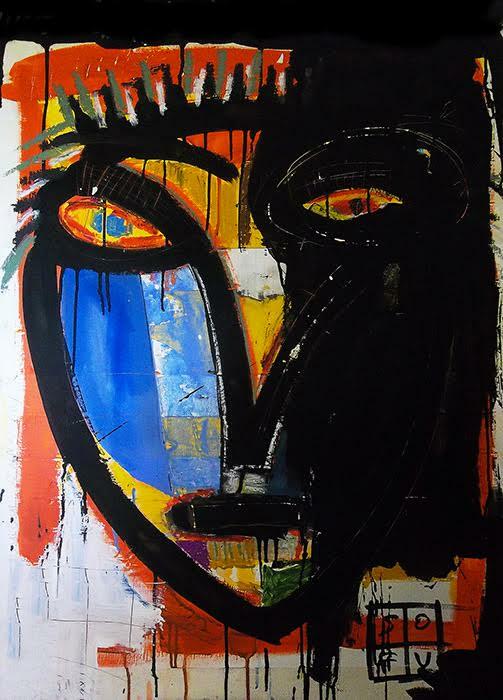 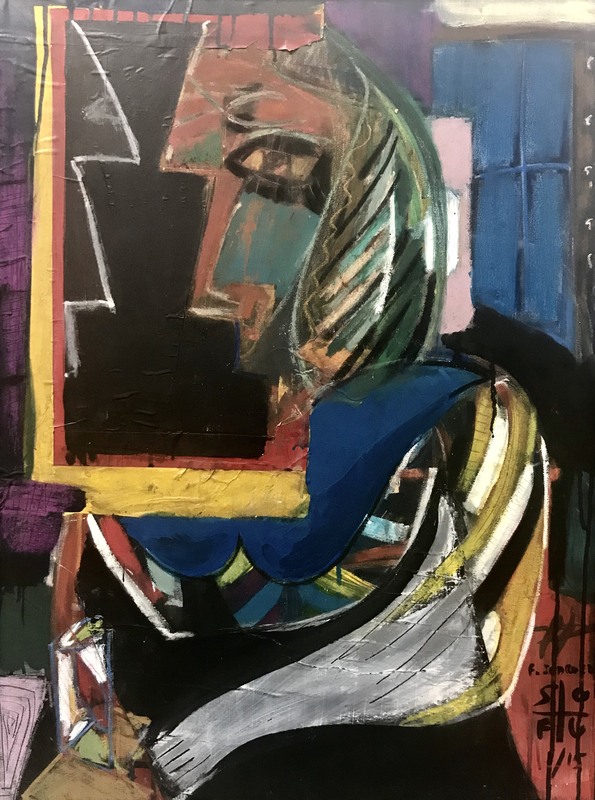 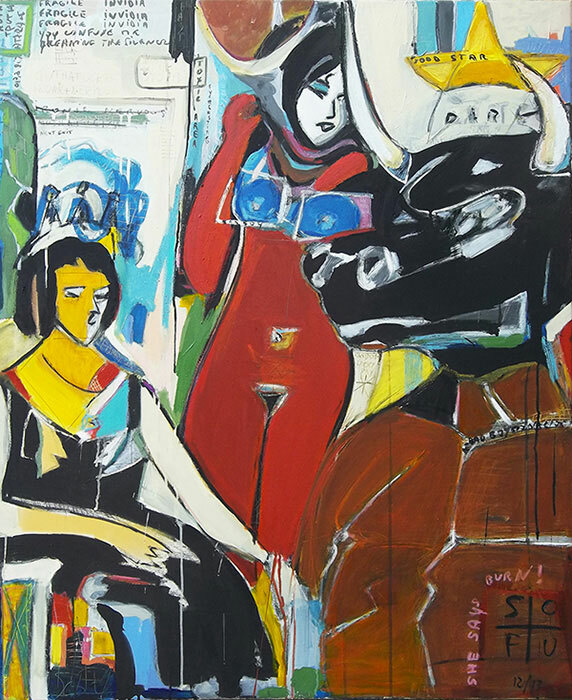 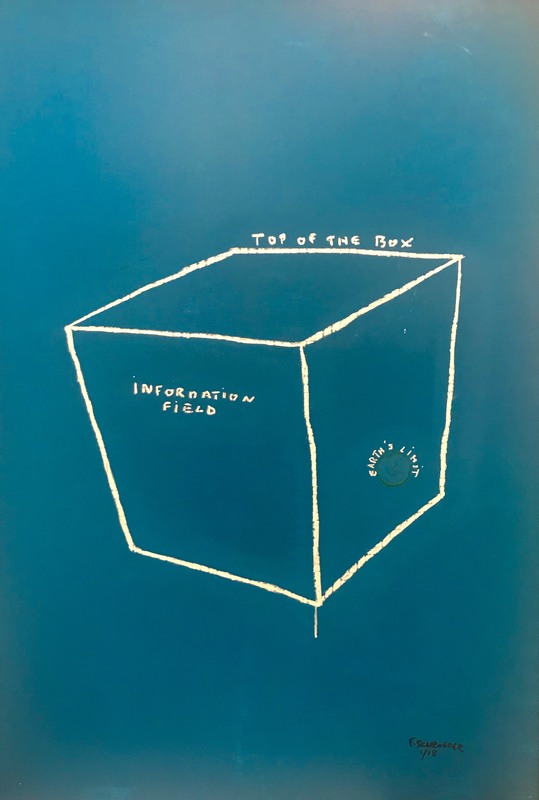 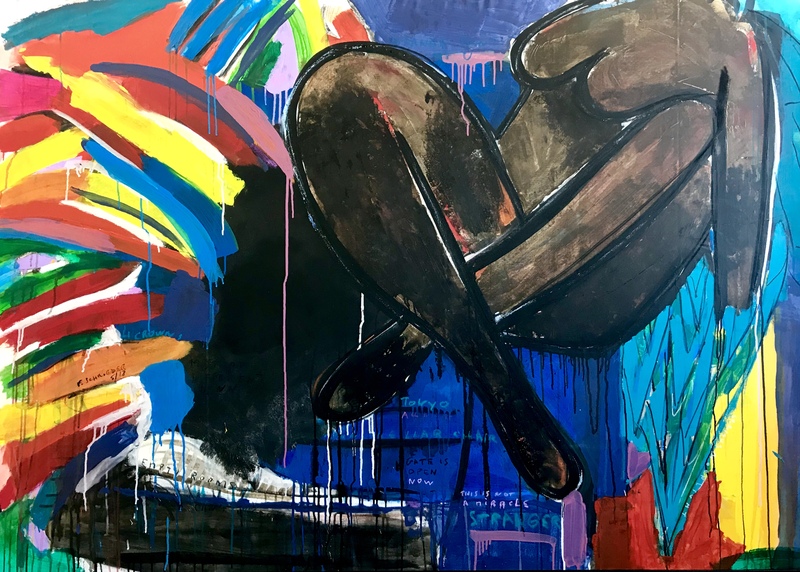 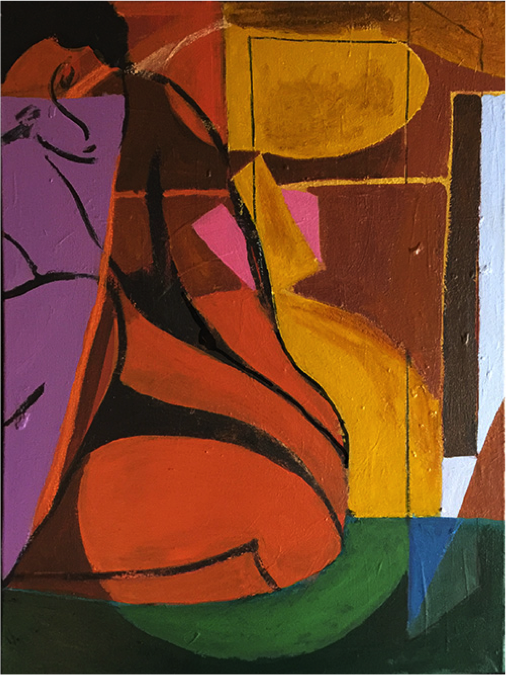 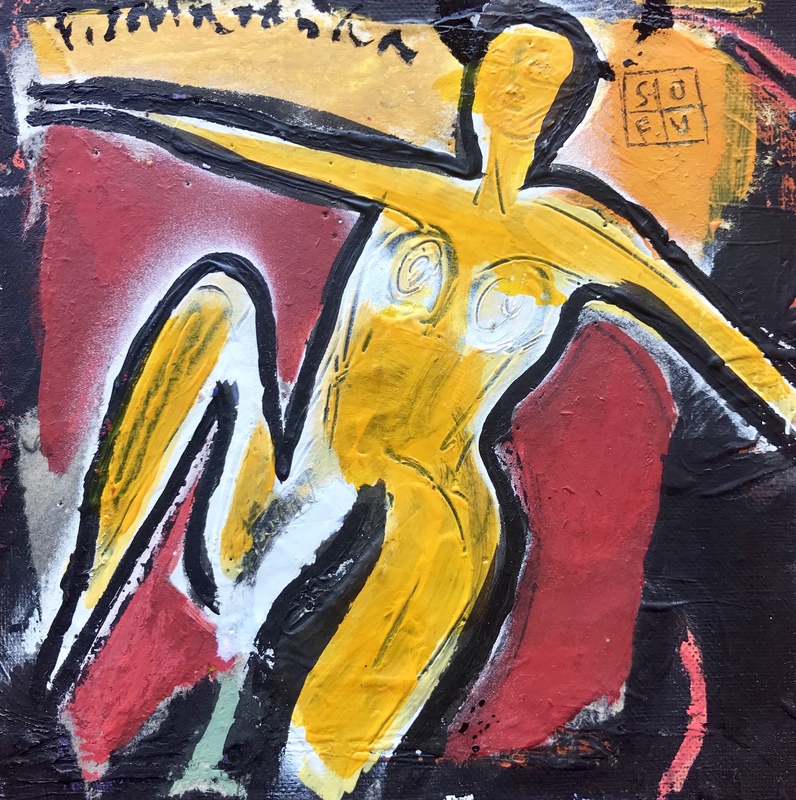 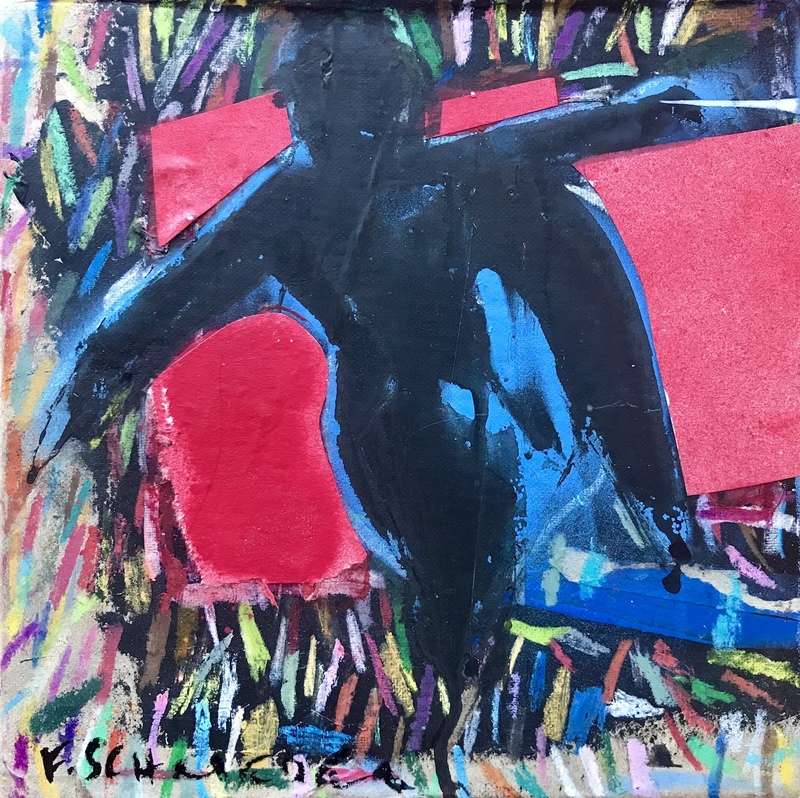 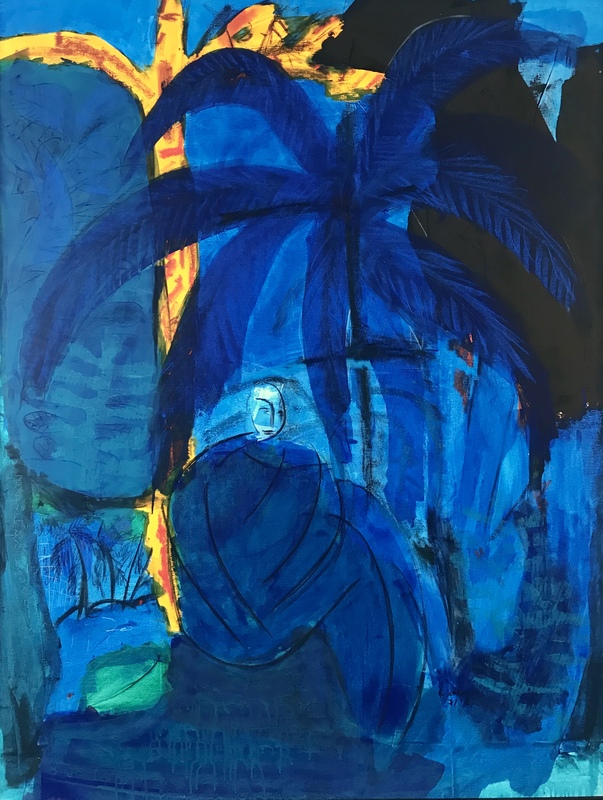 His modernistic use of line combined with energetic colors and evocative Neo-expressionist style is layered with a uniquely patterned use of numbers and type that capture the gaze and encourage new experiences each time the work is engaged. 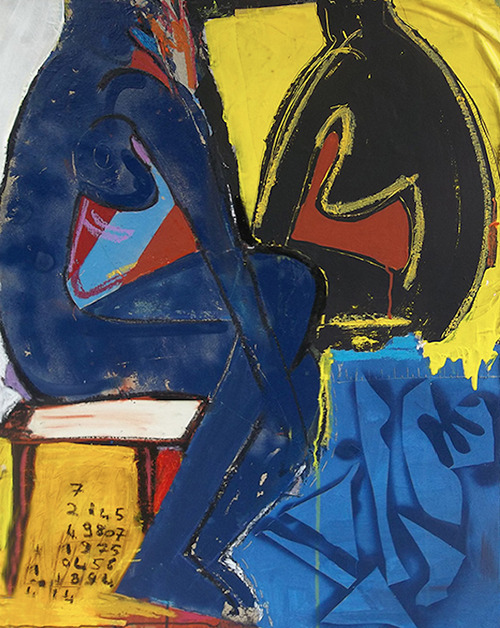 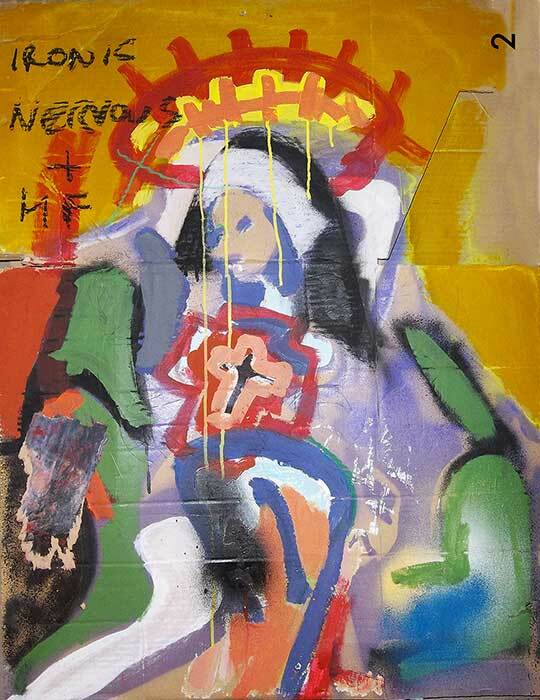 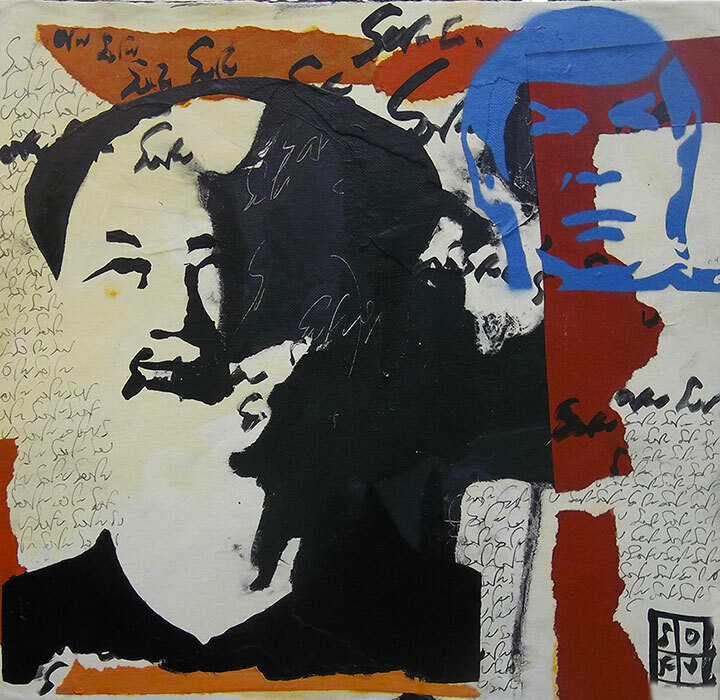 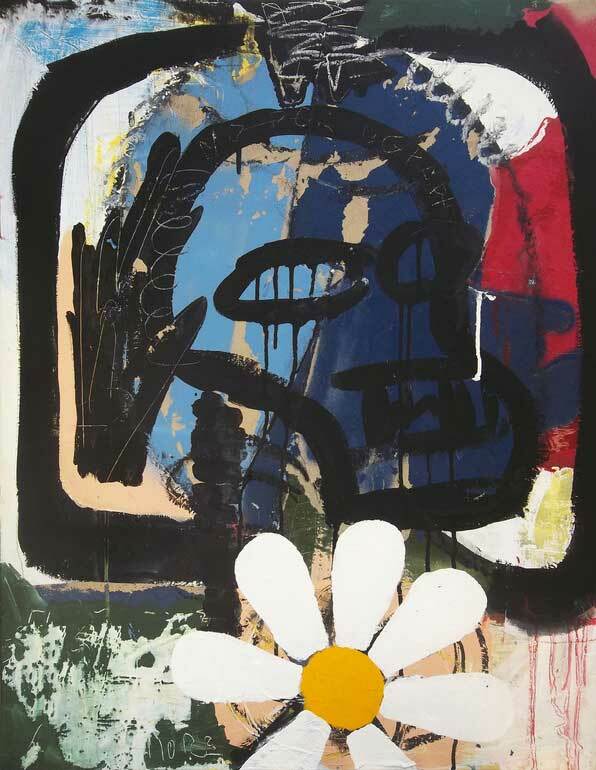 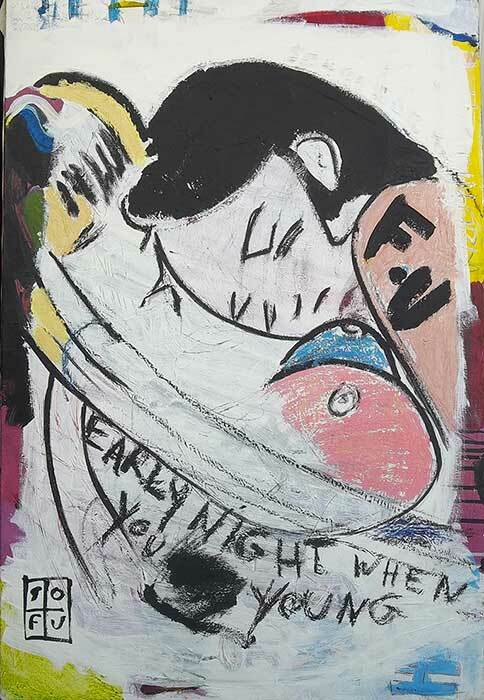 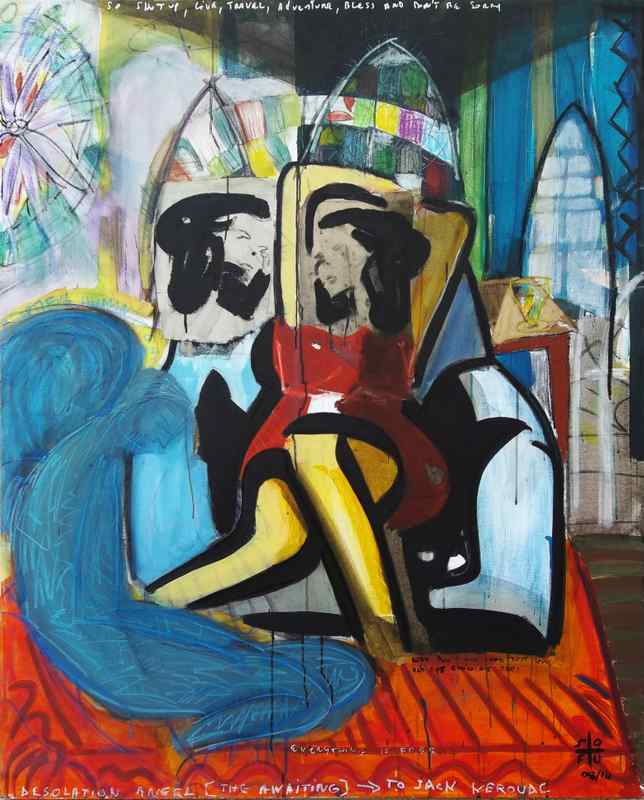 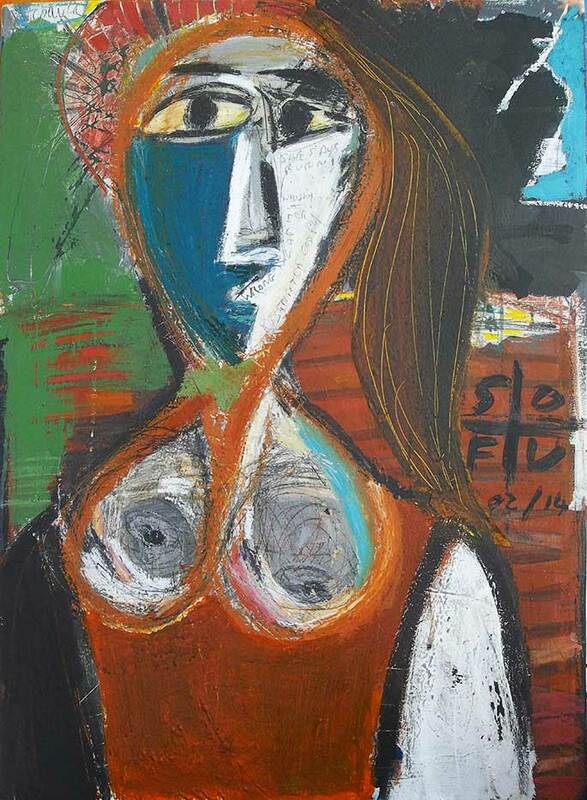 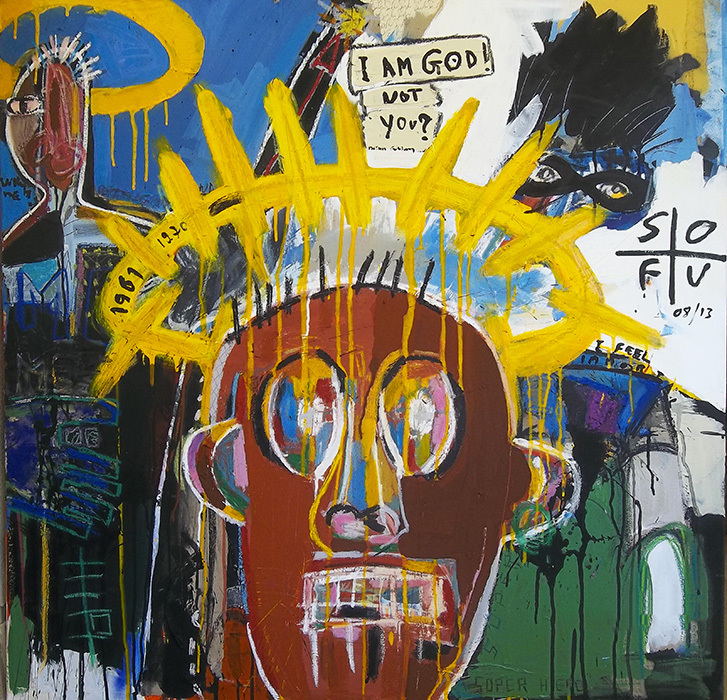 His work has often been compared to that of Picasso and Basquiat by a number of art critics. 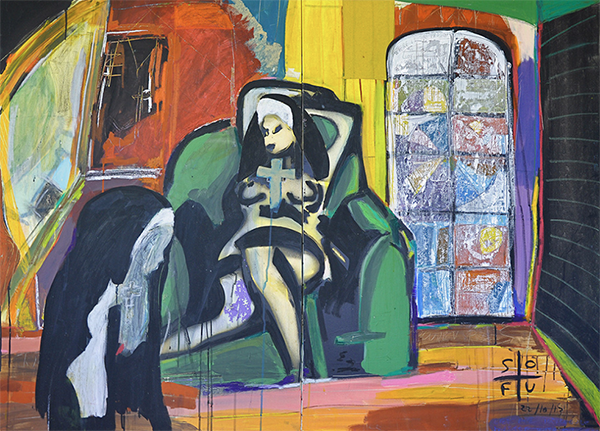 The tension in his pieces reveals a yearning for indulgence and absolution.